Do You Really Need An iPhone 6? We know iPhone 6 and 6 Plus are now available for preorder, and we know you want it. But, do you need it? Do you deserve it? Does it deserve you? We combed through the benefits, thought all the thoughts, and asked all the questions to determine if it is, indeed, time to get a new iPhone. Is it? There are five ways to find out. Do you hate carrying a wallet? If so, you'll like Apple Pay, which will let you check out with the tap of your phone and the confirmation of your fingerprint. It's more secure than using a credit card, and when things just flash and beep, you can pretend you're not actually spending money. Apple already has agreements with businesses including Subway, Macy's, Walgreens, and Uber, but it might be awhile before you can use it everywhere. 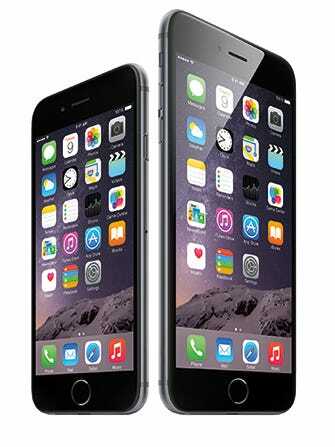 If you want a big, BIG screen, you're going to want the 6 Plus in all its 5.5-inch glory. But, if you're not ready for its size (or the word "phablet"), you can still get a bigger display with the regular 6. It's 4.7 inches, which is nearly an inch bigger than the iPhone 5. And, with improved video capabilities, watching TV and movies will be better than ever. Do you want your battery to last longer? While battery life inevitably declines with age, the new iPhone promises the longest life expectancy yet. Whereas the 5s only had 40 hours of audio, 10 of video, and eight of 3G browsing, the 6 features 50 hours of audio (80 for the 6 Plus), 11 of video, and 10 of 3G browsing. That's a lot of life. Do you still have an iPhone 4? Yes, you: Still lugging that ol' thing around with its cracked screen and obscene thickness? Even if you don't receive weekly messages from your phone indicating that its storage is almost full, that it resents you, and that it's considering leaving you for someone less demanding, you should probably spring for a new one. Surely, you're eligible for an upgrade by now?